An interesting read in this newsletter below provided to the Gurn by Gemma Hill of the NEI. News of a few things that could give a boost to the local economy. This newsletter is intended as an introduction to those of you I’ve not had the chance to meet yet, as well as a synopsis of the past 3 months working for the Nairn Economic Initiative (NEI), for which the Association of Nairn Businesses (ANB) is the lead partner. My role is a part-time, short-term position, shared with Sharon Green. The post is funded partly by The Highland Council Nairnshire ward budget and partly by Highlands and Islands Enterprise, and was established with the remit of developing, enabling and co-ordinating the achievement of NEI’s prioritised projects and key outcomes, and assisting with the identification and procurement of funding to drive these initiatives forward. The NEI steering group consists of Michael Boylan, Chair of the ANB, Sheena Baker, Treasurer, ANB and Steve Westbrook, an Economist. My own background as a consultant and project manager, in both the British and European private and public sectors, has allowed me to either manage or work on many projects, using a collaborative approach, to achieve common goals. I have been delighted to meet with many of you to engage in the various projects that have been prioritised by the NEI, and, whilst there is still much work to be done in 2016 and in subsequent years, I am pleased with the headway that has been made in the closing months of 2015. The NEI initiatives fall into 4 broad categories, which were borne out of a meeting in 2014 at the Golf View Hotel - Marketing, Events & Entertainment; Tourism, Culture & Heritage; Amenity & Infrastructure; and Business Development. For the Marketing Group, work has been focused on the redevelopment and ‘bringing into 2016’ of the NairnScotland Website, led by Steven Jack, which was handed over from The Highland Council. 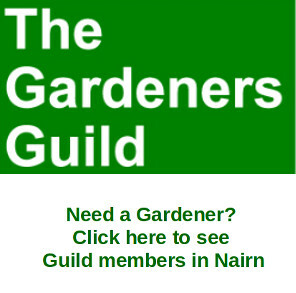 As this site is still, at present, publicly funded, the initial objective has been to update the old site in both ‘look and feel’ and content, to act as a ‘Gateway’ site to signpost potential customers and end-users to the other excellent and extremely informative websites Nairn has to offer; a hub to showcase all information relating to Nairn. The images on the site are being provided by a team of local photographers. I would like to say a particular thank you to David Brownless, who is leading on this aspect of the website project. 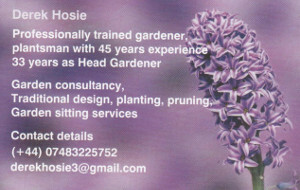 Please contact me via the below email address if you would like to be involved. All photographs will be fully accredited and protected. Sharon Green has researched and compiled an extensive listing of funding streams that are suitable for the project areas that NEI specified and will be a useful resource for other organisations in Nairn in the future. She concentrated particularly on the Amenities & Infrastructure and Tourism/Culture & Heritage categories and, during October and November, worked on researching funding streams that are ideal for progressing any of these projects. In particular, Greening Nairn, Castle Square, Coastal Paths and the Coastal Cycle Path, for which she arranged a well-attended meeting to discuss progressing these initiatives and next steps have been identified. If you would like more information on funding aspects please contact sheenabaker46@btinternet.com in the first instance. Several discussions have taken place, which will be progressed in the coming months, regarding the formation of a possible Destination Management Organisation, (DMO), the objective of which would be to bring various groups together to work collaboratively for the future of Nairn on shared goals for increasing tourism impacts in the area. Ground work is also currently in progress to develop the business case for the construction of new commercial units in Nairn. Whilst this initiative is more long term, the way is being paved to ensure that it is firmly on the agenda. Under the Business Development category, work has begun to explore the practicalities of establishing Nairn as the centre of care provision training in the Highlands. I will be producing a draft over-arching strategy document and an attachment detailing each of the NEI initiatives, including objectives, scope, action plan, responsible people, working group members, timescales and identified funding streams, with the criteria required for each application. I will then circulate this and consult with the various groups in Nairn for their input, asking each group to add their initiatives in the same format. Following completion of this, Sharon Green will be able to add in any additional identified funding streams against initiatives, with relevant application criteria, and offer support and assistance to other groups with achieving funding for their initiatives. May I take this opportunity to welcome any feedback, input or questions to gemmahill@me.com as well as to say a big thank you to those who have afforded their time to working on these initiatives in the last few months. It has been a pleasure to meet and work with all of those I have come into contact with so far and I look forward to meeting many more of you in the near future in order to ensure all objectives are achieved. May I wish you all a very happy New Year and I look forward to seeing you over the coming weeks and months. "The first step in a long march." Good to see a systematic approach that will move some of Nairn's wish list forward. 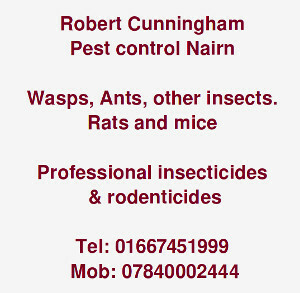 Nice to see some work actually been undertaken..
As mentioned previously on the Gurn, the NairnScotland website was certainly in need of an overhaul and it would be good to think it can be done in such a way that will help promote the town and increase the traffic to other Nairn based websites. There are some really good online sources of information about our town and the easier it is to find that information, the better. More business or industrial units in Nairn is a tremendous idea too...The industrial estates in the town are proving really popular for either new or expanding businesses and space is runniing out... It would be great to see more opportunities for companies to provide long term employment prospects to the current and future generations... Well done! It's refreshing to see the next generation being involved too.. well done!